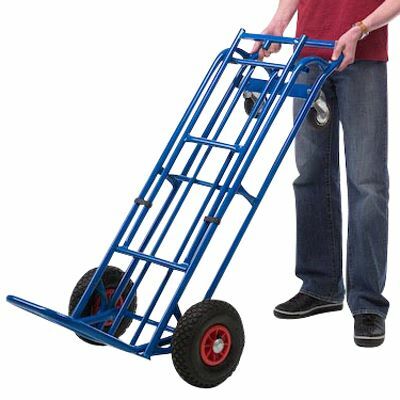 This highly adaptable 2 in 1 sack truck has a multi-position design so it can be used in a variety of ways - either as a conventional sack truck, or as a 4-wheeled platform trolley. With a load capacity of 250kg this truck really is the ultimate in making any moving job easier and more convenient. 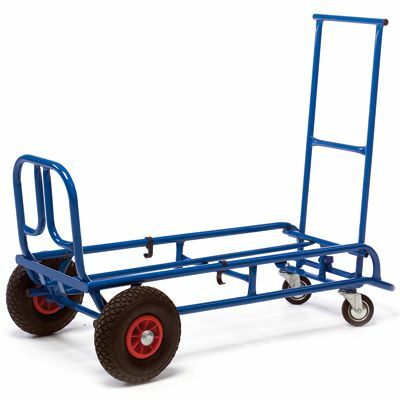 With a fully welded tubular blue steel frame, it has two pneumatic tyres and two swivel, rubber-tyred castors. 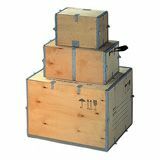 This strength and manoeuvrability make it ideal for warehouses, shop floors, delivery drivers and bulders. 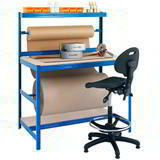 Reliable and strong, it comes pre-assembled and is ready for use straight away. 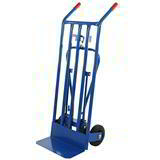 This 2 in 1 sack truck will take the strain and is suitable for a wide range of everyday jobs and surfaces.